1. The King’s Curse by Philippa Gregory – This was on a previous list, but I wanted to wait to do a full reread of the series, which I hope I can do over the Christmas period. Really looking forward to a reread of this series. 2. Crown of Midnight by Sarah J Maas – Having read and ADORED Throne of Glass and The Assassin’s Blade, I can’t wait to get to the next two books in this series, but I’m taking small breaks in-between each book, partly to give my feels a chance to recover, and partly because I don’t want to have to endure the wait until book 4. 3. Under the Never Sky by Veronica Rossi – I’ve had this whole series ready to binge for a while now, and it seems to be a firm favourite in the blogosphere – really looking forward to reading these! 4. Crash Into You by Katie McGarry – I’ve read and loved two books in this series – Pushing the Limits and Dare You To, and after taking a break from YA/NA romance, I’m just about ready to dive back in again with this one. 5. Clockwork Angel by Cassandra Clare – I love the Shadowhunter world, and when I finished City of Heavenly Fire I went straight in to The Infernal Devices series. It just didn’t grab me at the time, but I really want to read it – so I’m hoping to get to it soon. 6. The Unbecoming of Mara Dyer by Michelle Hodkin – This is a well-loved series, and one that I’ve been wanting to read for a while. I have the first book and hope I like it as much as everyone else seems to! 7. Who R U Really? by Margo Kelly – This is a review book and I’m taking part in the blog tour for it – it has a really interesting plot-line based around online identities. 8. Uglies by Scott Westerfield – This is a series I’ve seen a lot of on BookTube, and it seems to have quite a following. It’s a great concept for a novel, so I’m really looking forward to this series. 9. The Statisitcal Probability of Love at First Sight by Jennifer E Smith – I read The Geography of You and Me and really enjoyed it, it was a light and fluffy read and I’m hoping for a similar experience from this one. Have Your Say is back! The only outstanding Have Your Say read left is Cinder, which I don’t own yet – so I’ll get to it at some point. I love doing Have Your Say reads, you guys always pick the best books! Has your favourite book made my list of TBR reads this week? Do you think I’ll really enjoy one of the books mentioned and should pick it up sooner rather than later? Let me know by voting in the poll below! You can pick your top 3 from my list, and voting is open for one week. I’ll read and review the book that comes out on-top in the month of December – so get voting! What books are on your Winter TBR? Do you ever read the books you plan to? Which one of these should I make a priority? Link me up and let me know in the comments! Happy reading, Book Geeks! You’ve listed some really amazing books! I really loved Crown of Midnight and Under the Never Sky. The Unbecoming of Mara Dyer, Crash Into You and Clockwork Angel I enjoyed too. Uglies is actually a book that I didn’t really enjoy. But I hope you will! I’ve never read The King’s Curse, but it’s on my TBR. Thanks for commenting. So many of these seem to be so well loved, can’t wait to get to them. Uglies has had some mixed reviews, I hope it isn’t another Delirium (great plot, badly executed…). I’ve never read Delirium but I’ve heard mixed reviews about that one too. I know reviewers that absolutely love Uglies as well, maybe it was just me. I can’t even make myself continue on. I hope you’ll enjoy them though! I haven’t read Heir of Fire either, just the first two books. I really enjoyed Mara Dyer. There are some issues that people have with the book, but I thought it was pretty cool. And quite thrilling, but not TOO scary, which is great for scaredy cats like me! Mara is sounding better and better, and I LOVE those covers! *whew* we took your poll and are thrilled we aren’t the only ones excited about “The King’s Curse”. We’re on a huge historical fiction/creative historical nonfiction kick lately on our personal reading lists. No, I haven’t! I’ll have to check it out. I’m so excited to see your reactions to the rest of the Maas books- honestly! I did the Fall TBR TTT a couple months ago and only ended up reading 3 books out of 10. Because I’m a mood reader, I’ve decided not to partake in those lists again 😛 it will never end well. Uglies was brilliant! Although I do have to say that the series goes downhill from there. Uglies is definitely the best one, and the premise is original. I liked Under the Never Sky, although I did have some issues with it. But you’ll love Roar. Great list! I am terrible with sticking with these lists, but I’m still going to make one anyway! Lol. I recommend Mara. It’s the only one I’ve read on your list, and it’s really good. I need to finish the series! Wow, I love your list! Yeay, another Katie McGarry fan! Hoping you LOVE Crash into You, you should definitely read Take Me On straight after. AND Breaking the Rules (continuation of Noah & Echo) is being released in December, EXCITING!!! I was so surprised by how much I love K McGarry reads, I hope the next ones in the series are as good! It looks like you’re going to read some great books this winter! I really need to catch up with The Cousins’ War books, they’re so good. I can’t wait to read The King’s Curse. Crown of Midnight is AWESOME. It’s even better than Throne of Glass, and there are some great Celaena/Chaol moments in it. 😀 I liked Under the Never Sky, and I love The Infernal Devices. Personally, I think they’re better than TMI but that’s just me. They are worth reading though. Mara Dyer is great too so I hope you enjoy it! CoM is really awesome so I hope you get to that soon! I quite enjoyed TID by Clare but it’s the same story with a new look so it lost the novelty for me. UtNS is not such a good one, it’s pretty basic on the world building, it really didn’t blow me away at all. Mara Dyer is okay, about the same as TID… I hope you like these! I really enjoyed Under the Never Sky, though it did take me a while to get into. I have some of Philippa Gregory’s books but I’m waiting until I get the whole series to read them. What’s your favourite book of hers? I really want to read The Throne of Glass series and also Cassandra Clare’s books. I’ve had Under the Never Sky for ages and I’m actually reading it right now. I’m only about a third through it but I am really liking it so far. Most of the books that are on my list also come from BookTube. What can i say except i’m a great fan. I really, really, really loved Crash Into You. I could relate to Rachel in so many ways. I also really liked Clockwork Angel and Statistical Probability. I read two McGarry books and then took a break, didn’t want it to be too samey from reading them all in a row, but I think I’m ready for some more! I enjoyed The Geography of You and Me, even if it was very fluffy, so I’m hoping Statistical Probability is good – I got the hardback for £1.99 I think, so I can’t complain! Yeah, I have a hard time sticking to my planned reading lists too. I have to get to Under the Never Sky and Mara Dyer too. Clockwork Angel is really good! I liked it better than Mortal Instruments actually. I liked, but didn’t love Uglies. Definitely worth the read though. Oooh Cinder Rocks! I loved Uglies but got more frustrated as Pretties went on and so haven’t even started Specials yet. A few of these are on my to-read list too. I really liked Clockwork Angel and haven’t finished Clockwork Prince. I kind of lost interest; not sure why. Good luck with your winter reading! Thanks! And thanks for stopping by. The first book in TID lost me halfway through, so I need to start at the beginning again.. Le sigh. So many books I need to get around to reading on your list, Crash Into You and The Unbecoming of Mara Dyer are both books I seriously need to get reading. They’ve been on my radar for a while so if you read them and enjoy them let me know and it might help motivate me. Three books on your list I can recommend, Uglies, The Statistical Probability of Love at First Sight and Crown of Midnight are all fantastic reads, but they all are different so I don’t know which to recommend. I enjoyed the Uglies series, but I think the premise might have been what I enjoyed more than the writing. Great list, but you’re only helping to add to me TBR list, it isn’t good. Seems like you’ve hit most of the important genres for these upcoming months! Although dare I ask when you wanted to start reading Take Me Tomorrow? I’m flailing over Mara Dyer, I just started the trilogy this year (and finished it this week) and LOVED it. It was unlike anything I’ve read. That Statistical Probability of Love at First Sight is also really good and my favorite Jennifer E Smith book! 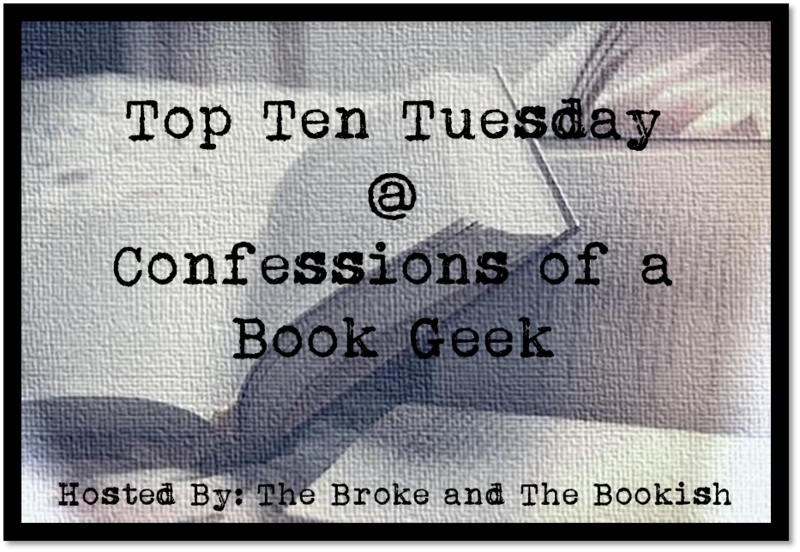 2, 3, 5, 6 and 10 are ALL on my TBR list too! I’ve tried to start a couple of them one or more times, and it just didn’t stick. Based on what I’ve heard, though, I think you’ve got a good solid list here! Looking forward to seeing what you think – maybe that’ll give me some inspiration to finally read a few of these myself! 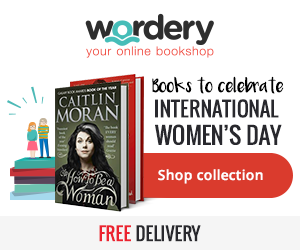 ← Exclusive Bookish Gift Discounts!